A political party in Georgia has created a religious organisation called the Christian Evangelical Protestant Biblical Freedom Church of Georgia in order to help men avoid military service. Switzerland: Women to be obliged to attend military "information day"
Young women in Switzerland may be obliged to attend an 'information day' about military service from 2020, according to Swiss media. The move comes as part of the Swiss military's plans to encourage more young people to join the army. This year marks the 20th anniversary of the libertarian antimilitarist group Ni Casco Ni Uniforme (Neither Helmet nor Uniform - NCNU). NCNU emerged as the NCNU Conscientious Objection Group, originating in Santiago de Chile in the context of democratic transition. Compulsory military service existed then and now in Chile. There was (and is still not) any law protecting conscientious objection to counterbalance this. On 25 June 2014 the National Assembly announced in official gazette No. 40.440 that the Law on Registration and Enlistment for Comprehensive Defence of the Nation (in Spanish, Ley de Registro y Alistamiento para la Defensa Integral de la Nación or LRADIN) came into effect on the same date. This law repealed the one that partially reformed the law of conscription and military enlistment, which was issued by the national executive and published in official gazette No. 39.553 dated 16 November 2010, and in which military registration was renormalized. The head of the compulsory military record is the President of the Republic, who shall exercise this function through the Ministry of the People’s Power for Defence and other public administration bodies. 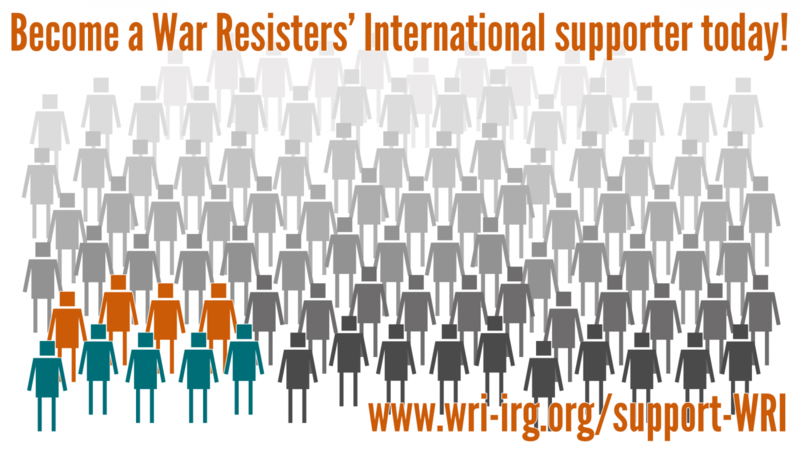 On 25th May, War Resisters' International organised a webinar on conscientious objection, peace education and countering youth militarisation in South Korea. In the webinar, we had presentations from two Seoul-based peace campaigners active in the field for many years: Hanui Choi, Coordinator and Peace Education Facilitator at PEACE MOMO, and Seungho Park, a conscientious objector and an activist from World without War. The Office of the United Nations High Commissioner for Human Rights' Quadrennial Analytic Report on conscientious objection to military service is out, read it here. WRI was one of the civil society organisation that submitted information to the OHCHR for the report, and it is referenced a number of times in the report. International Conscientious Objection Day was marked on Monday 15th May by antimilitarists around the world, celebrating those who have - and those who continue - to resist war, especially by refusing to be part of military structures. It’s a day when we celebrate refusal, disobedience, and everything that says no to militarism. But also a day when we say yes to nonviolence, solidarity, and reclaiming our bodies and communities for coexistence!